Shipping Dimensions: 20" x 5" x 15"
Get ready to save the princess from the evil dragon in this castle playset! Using the drawbridge and towers, control your marble as it goes up and down the track and goes through various obstacles to the bottom. Once you've completed your first run, take the marble run apart and complete a new track to watch the marble save the day again! 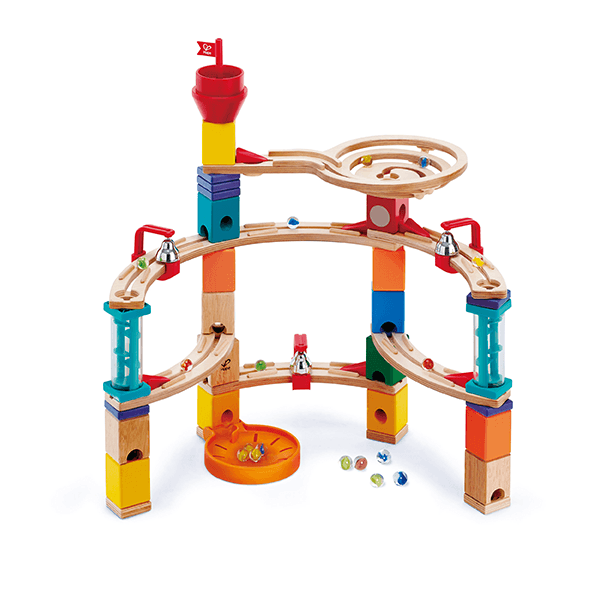 If You Liked Hape Quadrilla Castle Escape Marble Run, See More Related Products Below!